Winter temperatures can reach minus 20 to minus 30 F in U.S. Department of Agriculture's Plant Hardiness Zone 4. While the region's cold winters don't allow certain plants to grow, many full-sun perennial flowering plants overwinter well. When planning your Zone 4 perennial garden, consider plants that bloom at different times of the year and plants that grow to different heights. That will ensure year-round interest in your garden. 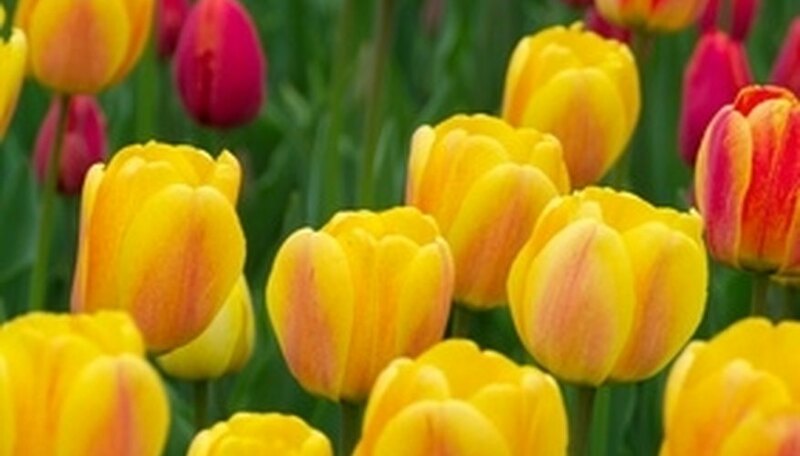 Tulips are a favorite of many gardeners and often are used for cut flowers. They also are full-sun perennials. One of the first flowers of spring in Zone 4 as well as other zones, they are available in many colors, from white to yellow to red. The plants reach heights ranging from 6 to 24 inches. Other spring-blooming perennials include phlox, iris, daffodil and periwinkle. 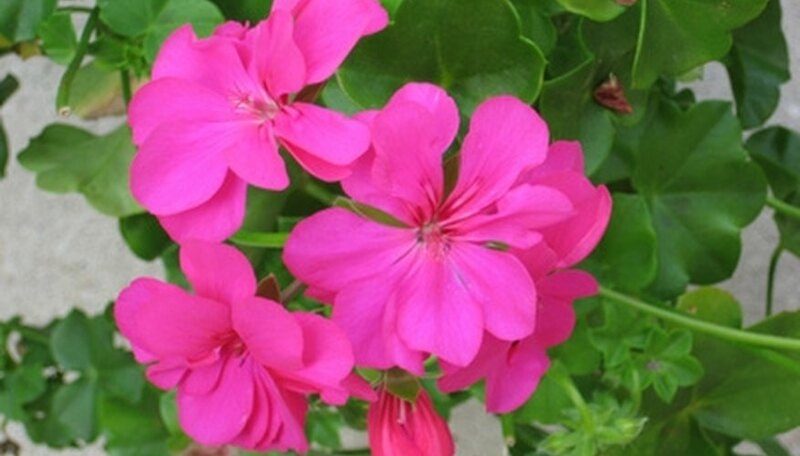 Geraniums are bushy perennials that generally grow 1 to 2 feet in height and bloom in summer. Some varieties have been known to grow up to 4 feet tall. Geraniums love full sun and are available in colors ranging from white to dark red. These perennials can be taken indoors for Zone 4 winters and can thrive as houseplants. Baby's breath, astilbe, carnation and daisies are other examples of full-sun perennials that bloom in summer. As the full-sun conditions of summer wane and autumn arrives, tree leaves begin to change color and cold weather starts to move into Zone 4. Many flowering perennials, however, are just starting to bloom. Sedum is a low-growing perennial that is considered excellent for ground cover. This succulent plant has greenish-silver leaves and an abundance of pink flowers. Chrysanthemum, aster and ornamental grasses bloom at the beginning of the Zone 4 winter. While most plants don't flower in winter, it is possible to create winter interest in your Zone 4 perennial garden. 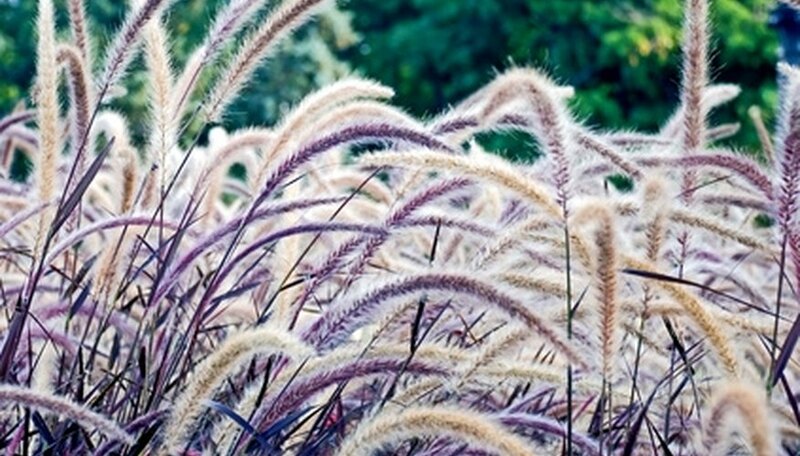 Ornamental grasses are full-sun plants that add motion and height to any garden. Because they may bloom in autumn, their long, leafy plumage and tall flower stalks give continuous movement throughout the winter months. National Gardening Association: Plant Finder -- Zone 4 Plants; Dianthus x Allwoodii "Old Spice" to Hemerocallis "Lady Scarlet"
Jennifer Dobbin began writing professionally in 2004. She designed and contributed copy for the Web sites of At Home Inn Morocco and A Gift From Morocco. Dobbin graduated from the floral design program at Seneca College in Toronto, Canada.